It won't be sold in America, but could preview the rumored new Jeep Wagoneer and Grand Wagoneer. 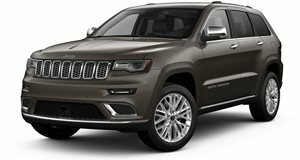 Jeep may be a big name in the lucrative crossover and SUV segment, but to date the automaker has never ventured into the three-row SUV market. Well, that’s about to change – in China, at least. After images leaked last week, Jeep has released the first official images of its new large seven-seater SUV dubbed the Grand Commander, but it will only be sold in China to target the growing three-row segment. Now we know why Jeep’s only notable reveal at Detroit was the refreshed Cherokee. Due to debut at the upcoming 2018 Beijing Auto Show in April, the Jeep Grand Commander’s styling is heavily inspired by the Yuntu Concept that debuted at the 2017 Shanghai Auto Show, but has been upgraded with LED headlights and a sloping roof. It also features a panoramic glass roof, a dual exhaust, and copious amounts of chrome trim that give the SUV a premium look. Due to go on sale in China in the first half of 2018, the Jeep Grand Commander will be sold with a four-wheel drive system and a 2.0-liter turbo gasoline engine paired with a nine-speed automatic transmission. Presumably, this is the same 2.0-liter turbo unit powering the refreshed 2019 Jeep Cherokee and the all-new Jeep Wrangler that produces 270-hp and 295 lb-ft of torque. Car China News previously reported that two trims will be available offering 234 hp and 265 hp respectively, though we were expecting a more substantial power boost for a larger SUV. Pricing is expected to start at 250,000 yuan (around $39,000). While the US won’t be getting the Jeep Grand Commander, it could serve as a preview for the upcoming Jeep Wagoneer and Grand Wagoneer rumored to arrive in 2020 as America's large SUV equivalent.